I am doing a happy dance tonight because we just ordered a new refrigerator! I am super stoked. It's so much bigger than the one we have now, and the freezer is on the bottom. It'll be nice to not have to squat to get things out of the fridge. Plus, since we are getting this new one, we will have a refrigerator in the garage now. No more having to borrow space in other people's fridges and freezers. Things are looking up for this holiday baking season! Anyway, these cookies. People love these. It's a spiced cookie that has chocolate chips, butterscotch chips, and toffee pieces in it. They're soft, chewy, and have a great blend of flavors. While these aren't my personal favorites (because I'm not a big butterscotch fan), I know a lot of people who absolutely love them. I always make a huge batch of them over the holidays. Cookies are one of my favorite things to bake, so I'm looking forward to sharing a lot of cookie recipes with you guys in the coming weeks. Stay tuned! In a mixing bowl, cream together the butter and sugars until fluffy. Add in the eggs one at a time until blended. Scrape down the bowl as needed. Add in the vanilla, cinnamon, baking soda, salt, ginger, nutmeg, and cloves and mix until combined. Add in flour and mix on low until incorporated. Fold in the chocolate chips, butterscotch chips, toffee bits, and walnuts (if using). Form the dough into one-inch balls and place on an ungreased baking sheet two inches apart from each other. Bake for 12-14 minutes or until lightly browned. Let cool on the pan for one minute and then remove to a wire rack or a flat surface to cool. I've heard stories about how the economy is, shall we say, not so good, but it really hasn't affected me personally until about a week ago. My company is struggling and has done lay-offs the last three years. While that was pretty terrible for those laid-off and those of us left behind, it didn't hit home too much. However, last week they announced they were closing the office on Fridays (yay!) and cutting everyone's pay significantly (boo!). We are all part-time employees now. They are hopeful that things will come around and we can return to full-time work, but you just never know. So, what does this mean for me? Some good, some bad. Not working on Fridays means more time to work on the blog and my bakery business. While that's nice, it means a lot less money, which means that people are going to be getting a lot of homemade gifts this year for Christmas. I actually love giving homemade food gifts, and while it does save money, I think it's a nice way to show people that you love them and were thinking of them while you were making and packaging their gift. I also love making gifts for other people to give to their friends, but that's another story. This hot cocoa gift is perfect for a gift. It's simple to make, it lasts a long time, it has two kinds of chocolate plus cocoa and vanilla sugar, and it makes a bulk quantity, so you can give it to many people. I made this last spring and gave it to my mom for her birthday. She's still enjoying it. And, if you don't like to share, and you drink a lot of hot cocoa, please make this and use it yourself. It's so much better than the packets you can buy or any of the standard mixes/syrups. My personal favorite way to drink this is with warm milk and a shot of Bailey's. Now that hits the spot, especially on Fridays when I don't have to go to work! Makes about 19 cups of mix, about 75 mugs of cocoa. If you have vanilla sugar on hand, use that. If not, you can easily make your own. I highly recommend making a lot of it and storing it in your pantry. It lasts for a long time, and you can easily refill the canister with more sugar to make more. My new favorite use for it is in pie crust. Split the vanilla beans lengthwise and scrape the middle out. Place the sugar in a large container that has a lid. Use your fingers to work the beans and middle filling into the sugar. Cover and let sit at least overnight. Remove the bean pods (you can use these to make more vanilla sugar). Combine the chopped chocolates in your food processor and process for four second pulses until the chocolate is very finely ground. If you don't process this until it's very fine, the chocolate won't dissolve in the milk. Add in the cocoa powder and vanilla sugar and process until combined. Store in an airtight container for up to six months. Serving instructions: Stir two tablespoons of the mix with 8 ounces of milk in a small saucepan over medium heat until the milk is warm and the cocoa is dissolved. Serve immediately. To make a more manageable personal size, use the following quantities and the same instructions above. I recommend you make the 4 cups of vanilla sugar as above, but you'll only need to use 1 cup of it. Use the rest of the sugar for cookies, cakes, pies or anything where you want extra vanilla flavor. Years and years ago, I dated this boy. This boy loved to bake, and chocolate oatmeal cookies were his specialty. In fact, he baked way more than I ever did. We eventually went our separate ways, and I found myself wishing I had that recipe. I loved those cookies, and I'd eat them for breakfast, lunch, dessert, and midnight snacks. They were chewy and crunchy, and I loved the chocolate/brown sugar flavor. I searched and searched for a recipe that was similar, and one day I found one in my friend's Hershey's cookbook. Funny this is, I reconnected with him on Facebook and got his recipe. I made his cookies last year (which include a packet of chocolate pudding mix) and I liked my new version much better! His cookies were a little too cake-like, and I liked my chewy texture better. One of my favorite things about having oatmeal in my cookies is that it helps me to be good and not eat cookie dough. I love cookie dough...perhaps a little too much. But I do not enjoy eating uncooked oatmeal. I've used both quick cooking oats and old-fashioned oats in this recipe, and they both work great in the final cookie. I know this is a recipe I'll be making for years and years. I'm thankful to the boy for leading the way. In the bowl of an electric mixer fitted with the paddle attachment (or using a hand mixer), cream together the butter and sugars until soft and mixed. Add in the eggs one at a time, scraping down the sides of the bowl as needed. Add in the vanilla, baking soda, and salt, and mix on low until combined. Incorporate the cocoa powder and flour and mix on low. Once combined, add in the oats and mix. Mix in the walnuts and chocolate chips and mix until just incorporated. Form the dough into one-inch balls and place on an ungreased cookie sheet about 1-2 inches apart. Bake for 11-12 minutes until set, but don't overbake. Let them cool for one minute on the sheet and then remove them to a flat surface to cool. Store in an airtight container or bag. This is the last post of Project Pastry Queen, and I've really enjoyed cooking recipes out of The Pastry Queen Cookbook. 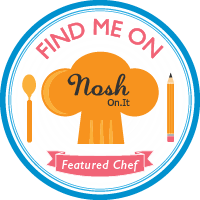 You definitely should check it out if you haven't already--there are so many great recipes. This chocolate mousse cake was the perfect way to end the project. It starts with a dense, rich, flourless bittersweet chocolate cake. Then it's topped with a milk chocolate mousse that's light and silky, and the whole thing is topped with a bittersweet chocolate ganache. Bonus--if you use gluten free chocolate, you can make this cake gluten free. Sad thing--if you're pregnant or immunocompromised, no dice on this one. It has raw eggs in the mousse. Rich really would be an understatement. I had three bites, and I was good. But those three bites were incredible. The other great thing about this cake is that you can freeze it. Technically, you're supposed to freeze it before you add the ganache and then add the ganache to the frozen cake before you serve it. However, I froze the entire thing (minus one piece) and will serve it at a party I'm throwing on Tuesday. I think it'll be fantastic. Don't make this for a cookout or BBQ as the cake needs to stay cold or it will melt. 1. I used Bailey's in the cake (yes, you can taste it and it's gooood). 2. I made my cake in a 9-inch springform pan, which I thought worked marvelously. Once the cake was cool, I poured the mousse on top and froze the whole thing. When I was ready to add the ganache, I didn't have to invert the cake out of the pan. 3. I had to bake the cake for 50 minutes, and it was still really fudgy. I'm not quite convinced it was fully cooked. You'll want to watch that. 4. The ganache is supposed to fully cover the sides, but I love the look of dripping ganache, so I went that route instead. If you want to check out my other Project Pastry Queen recipes, check this out. Be sure to check out the Project Pastry Queen website to see everyone else's take on the recipe. Thanks Shawnda, for creating such a great project! What's up next? I'm so glad I got the ice cream suggestion because it is fantastic. It has a wonderful fresh mint flavor that you don't get from the ice cream at the store. It's not artificially colored, and you can choose what kind or how many chips to put in the ice cream. It takes a tad longer than other ice creams to make because you have to steep the mint in the hot milk mixture to extract the flavor, but it's so worth it! As usual, I scaled it down for two servings because I'd rather have a large variety of ice creams in my freezer than a lot of one kind. The notes below tell you how to make a bigger batch. Note: To make six cups of this ice cream, multiply all the ingredients by three but only use 5 egg yolks. Follow the same process. In a medium saucepan over medium heat, combine the milk, cream, salt, vanilla, and half of the sugar. Bring to a boil and remove from heat. Add in the mint leaves and let them steep for 20-30 minutes. Remove the mint leaves and return the mixture to a boil. While the milk mixture is reheating, whisk the egg yolks with the remaining sugar until pale and thick. When the mixture has come to a boil, slowly whisk it into the eggs. When you have whisked in approximately two-thirds of the milk mixture, return everything to the saucepan. Using a spoon, stir the mixture constantly over low heat until it thickens and coats the back of a spoon. Don't let it boil. Pour the mixture through a fine mesh strainer into a clean bowl. Cover and refrigerate until thoroughly chilled, about a few hours. Churn according to the manufacturer's instructions. During the last couple of minutes, add in the chocolate chips. I think every blogger has to post a chocolate chip cookie recipe, and this is mine. I spent years trying to find the perfect recipe, and turns out I had to look no further than my boss. She makes the perfect cookies, and now I do, too. This is a soft, chewy cookie that stays that way for days. There is a strong vanilla flavor, which pairs really well with the chocolate and brown sugar. I've had many people tell me repeatedly they are the best cookies they've ever had. I happen to agree. Even my husband, who doesn't really eat desserts will eat a *batch* of these cookies. I'm happy to know that whenever I have kids, I have this recipe in my back pocket. Already I make them so often that I have the recipe memorized. There are a couple of things worth mentioning about these cookies. First, don't substitute butter for the butter-flavored shortening. I realize that butter is best, but not in this case. The shortening really lends itself to soft cookies, and you still get to have that butter flavor. Secondly, you want to underbake these cookies (and all cookies) to keep them soft. Therefore, take them out when they're barely turning brown and then let them rest on the pan for one minute to firm up a bit. Don't let them sit on the pan for more than a minute or they'll get really flat. After the one minute is up, you'll remove them to a flat surface. Before I had granite countertops, I placed them on foil on top of my counter. Now I just put them directly on my counter. If you put them on a wire rack, they'll fall through so don't do that. By the way, if you have a hard time baking cookies (eg, the bottoms or edges are brown or uneven), I suggest using Airbake pans. You don't have to grease them, use parchment, or a SilPat, and the cookies bake beautifully every time because there are no edges to trap the heat (and other fancy reasons I'm not aware of). I bake all my cookies on these, and I love them...I have two sets. PS, I'm not getting paid to say that, I just love them and think everyone should use them. In a bowl of a mixer, cream the shortening and sugars until fluffy. Add in the eggs one at a time. Mix in the baking soda, salt, and vanilla, and add in the flour until just incorporated. Stir in the chocolate chips. Form two tablespoons worth of dough into a ball and place on an ungreased baking sheet about two inches apart from each other. Bake for 9 minutes until barely golden brown. Remove from oven, let rest for one minute on the pan, and then remove to a flat surface (I place them on my clean counter or aluminum foil on my counter). Let them cool. Do you think Olympians eat ice cream? If not, they definitely should. Missy Franklin lives in my neck of the woods, and I'd love to give her some of this stuff. She seems really nice and fun; I think she'd like it. PS, I think the swimming relays are one of the most exciting things to watch. I'm on the edge of my seat and holding my breath to see who will come on top. Can we have a relay every night please? Since it's the last day of National Ice Cream month, I had to give you guys another ice cream recipe. After my first foray into roasted strawberries, I knew that I wanted to include them in as many things as possible. Enter this ice cream. Since chocolate and strawberries pair so well together, I figured I would roast some strawberries in a simple syrup (which turned them into a very tasty jam) and then add them into a super creamy chocolate ice cream while it was churning. The result is a wonderful dark strawberry flavor in every bite that's mixed with cold, creamy, rich chocolate. I scaled this recipe down to two cups (because I like to have a wide variety of ice cream flavors available), so excuse me while I go finish the bowl. Dinner schminner; I'll just have this please. Note: This recipe is scaled down to make two cups. If you want to make a full recipe, multiply everything by three but use 5 egg yolks. To make the ice cream base, in a medium saucepan over medium high heat, whisk together 1/3 cup of the cream and the cocoa powder until the cocoa powder is dissolved. Bring it to a boil and then reduce the heat to medium low and let boil for 30 seconds, whisking constantly. Remove from the heat and whisk in the semisweet chocolate until melted and smooth. Stir in the remaining 1/3 cup of cream and pour into a medium sized bowl. Place a fine mesh strainer over the bowl. In the same pan, mix together the milk, sugar, brown sugar, and salt over medium high heat. Meanwhile whisk the egg yolks together. When the milk mixture is warm, slowly pour two-thirds of it into the egg yolks, whisking constantly. Then pour the egg yolk mixture back into the pan while stirring. Continue to heat it over medium high heat, stirring with a spoon, until the mixture has thickened and coats the back of the spoon. Do not let it boil. Once it has thickened, remove it from heat and pour it through the fine mesh strainer into the chocolate mixture. Stir together and add in the vanilla extract. Once everything is incorporated, cover with plastic wrap and chill in the refrigerator. Once completely chilled, churn according to the manufacturer's instructions. To make the roasted strawberries, preheat your oven to 400 degrees. Place your cut berries on a sheet pan, combine the hot water and sugar, and pour on top of the berries. Cook them in the oven for 10-15 minutes until softened. Let them cool, and add them to your ice cream during the last few minutes of churning. Store your ice cream in an airtight container in the freezer until ready to serve.